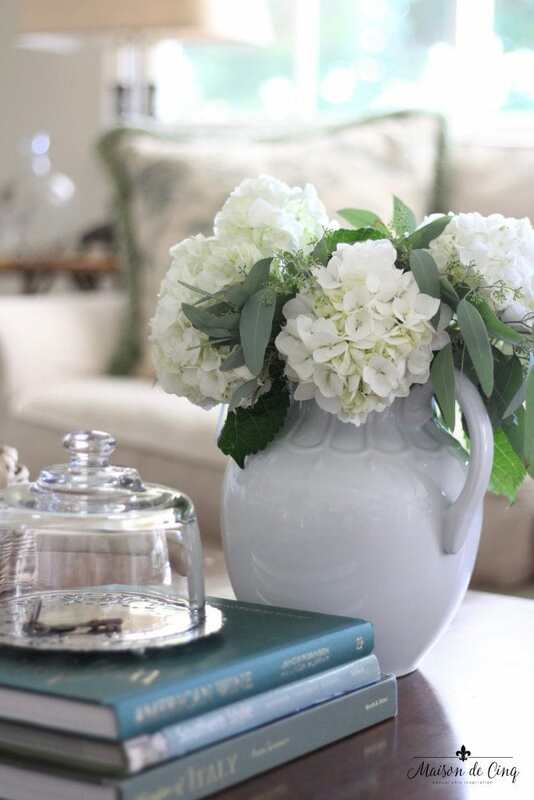 Decorating with White Hydrangeas - my Favorite Flower! 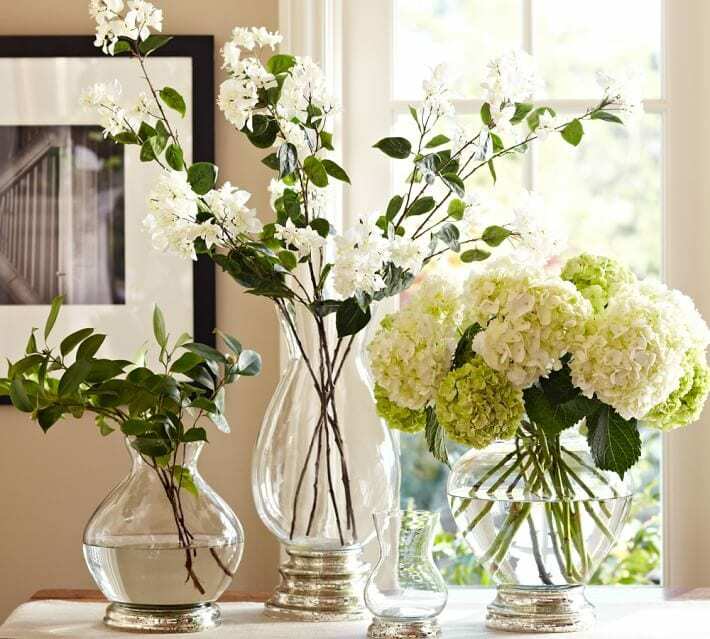 Today for my Friday Favorites post I thought I would talk about decorating with white hydrangeas. 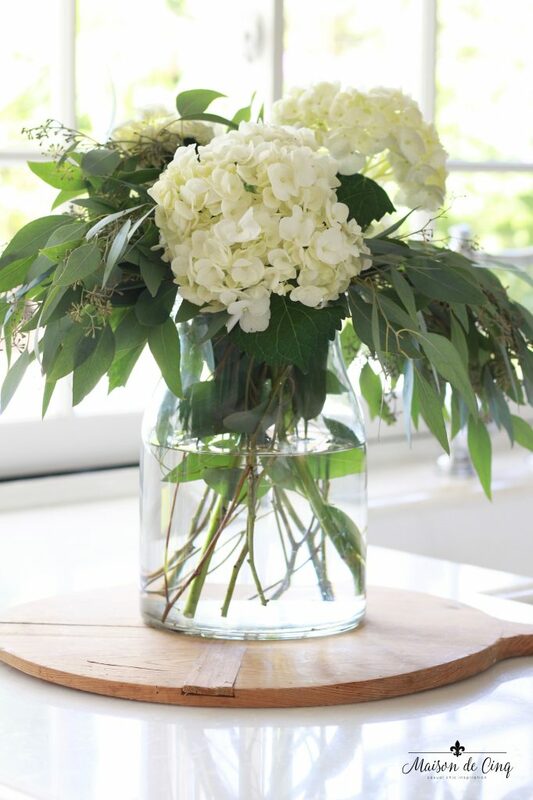 White hydrangeas are my all-time, absolute favorite flower! As some of you already know, I’m a big fan of white flowers in general. I even switched over my garden to all green and white a couple of years ago. But the one flower I find I always come back to, the one that has my heart, is white hydrangeas. I grow them in both my front and back yards, and I almost always have a pitcher of them on my counter. Not only do I love their charming, fluffy blooms, but they are one of the longer-lasting flowers you can buy. And they’re almost always available at the market or Trader Joe’s. Often times I can make a $6 bouquet last a couple of weeks! 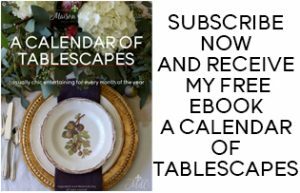 And for even more flower tips and tricks, make sure you check out my post all about Decorating with Flowers! Seriously?! Does it get any lovelier than this? 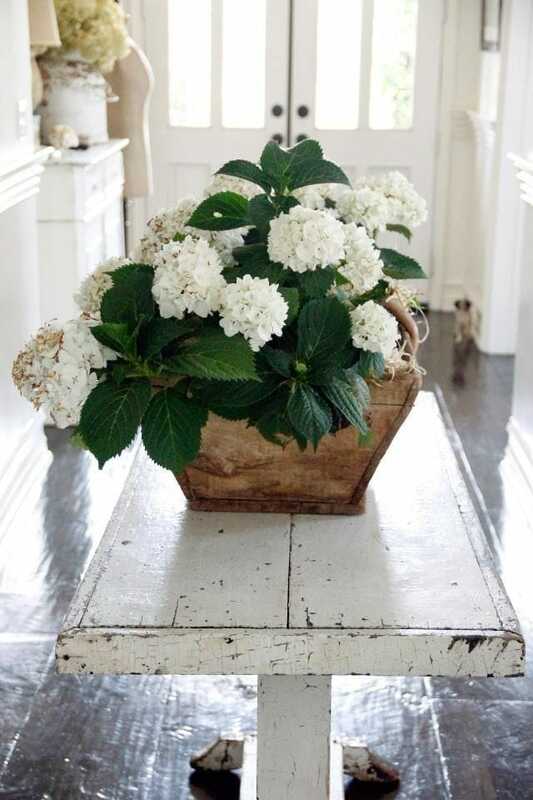 I adore the white hydrangeas against the old wooden box. Via Debra Hall Lifestyle. 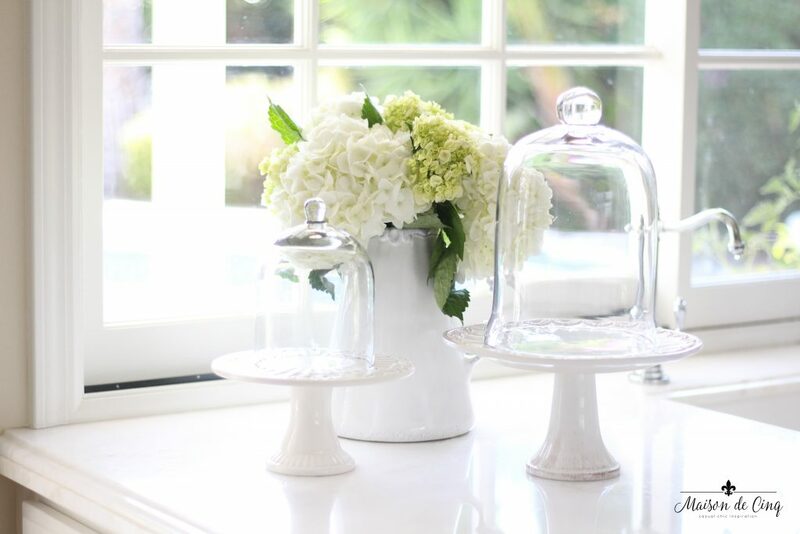 A vignette I did on the kitchen counter last year, combining white hydrangeas in a white pitcher with white cake stands and cloches. 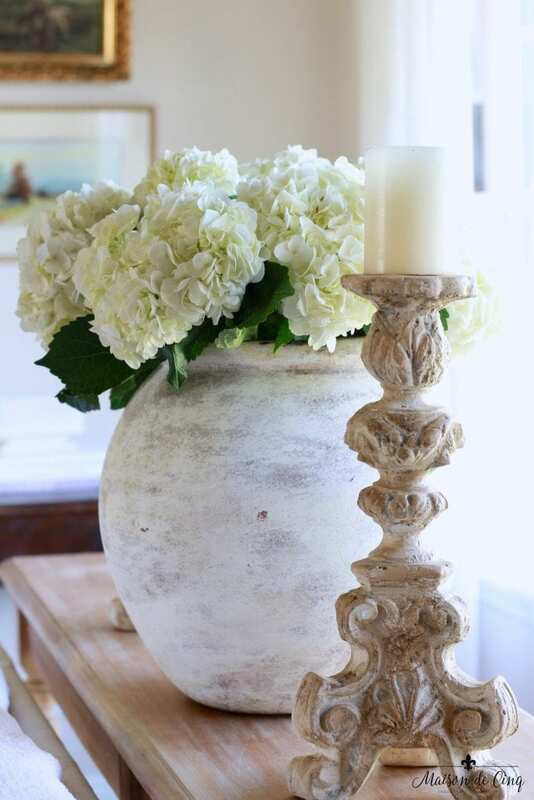 Floral design by the fabulous Carolyn Roehm. They look spring-y and fresh in the spring and summer months (especially the Limelights that have a slightly green tinge), but they also look amazing in the winter! 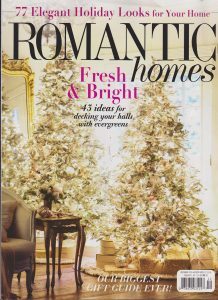 I love them mixed with eucalyptus in fall, or pine and berries at Christmas. 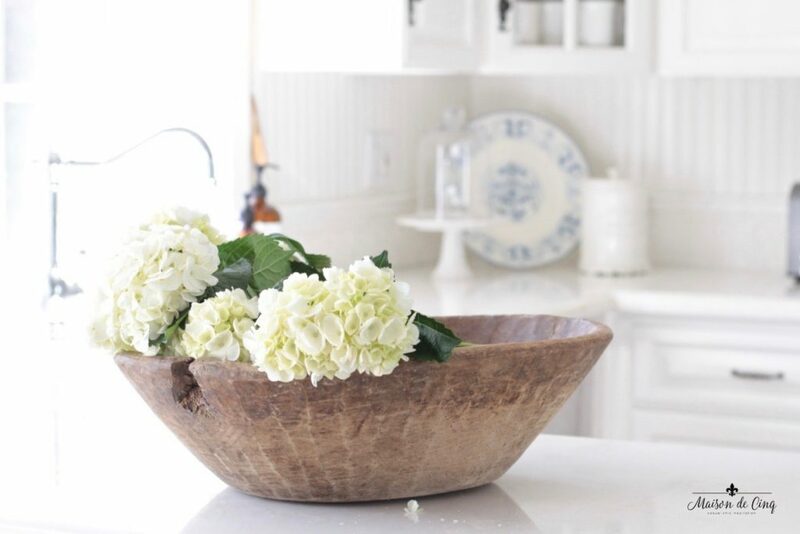 My dough bowl with white hydrangeas in it. From my recent post on vintage French bread boards. Absolute crusty urn perfection! Via Atelier de Campagne. Love them mixed with other white flowers. 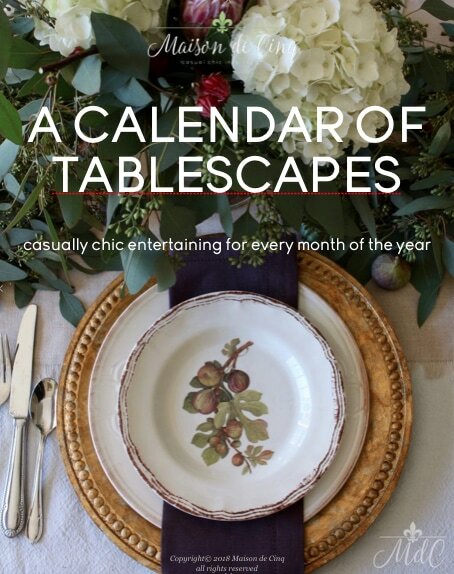 Via Pottery Barn. See what I mean? They look good with everything, and in anything! 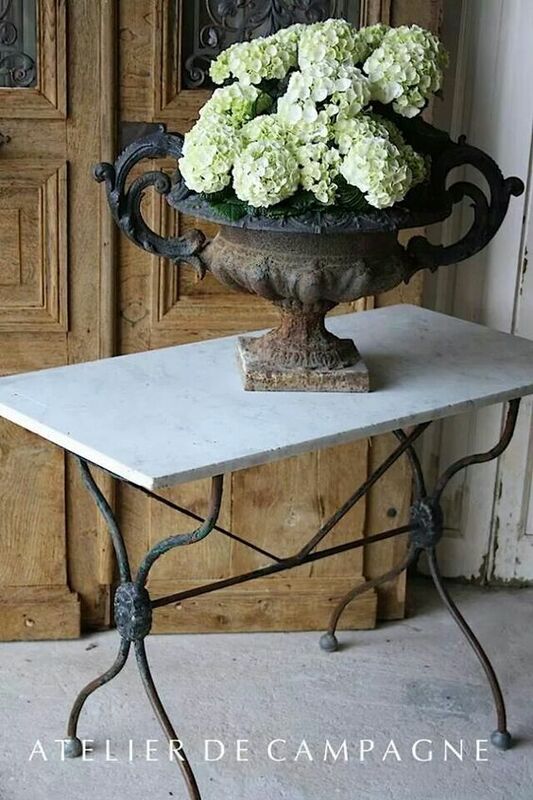 From an old crusty urn or bucket, to a crystal vase and everything in between. Not just gorgeous, but versatile, too. For me, they are the ultimate flower! And in case you’re looking for some unique containers for your hydrangeas (or any other flowers!) I’ve gathered some of my favorites below. 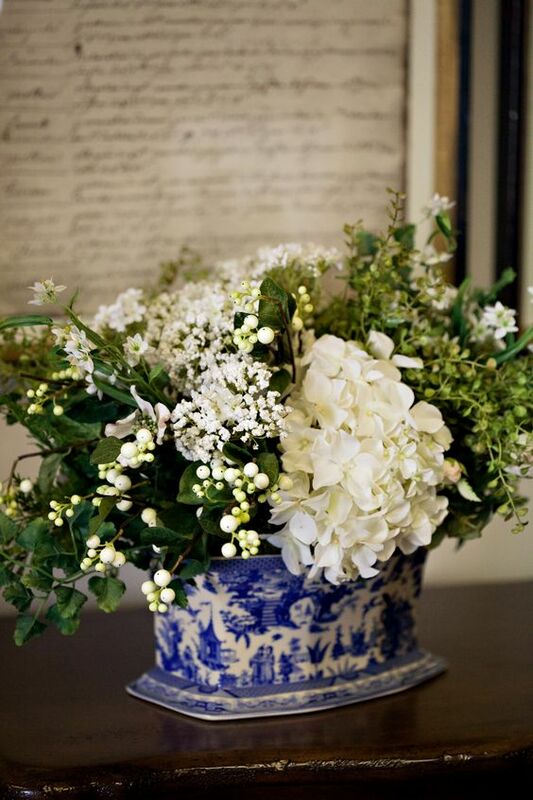 From buckets, to my favorite glass vases, to some blue and white pottery, there are so many wonderful options for showcasing these gorgeous flowers! 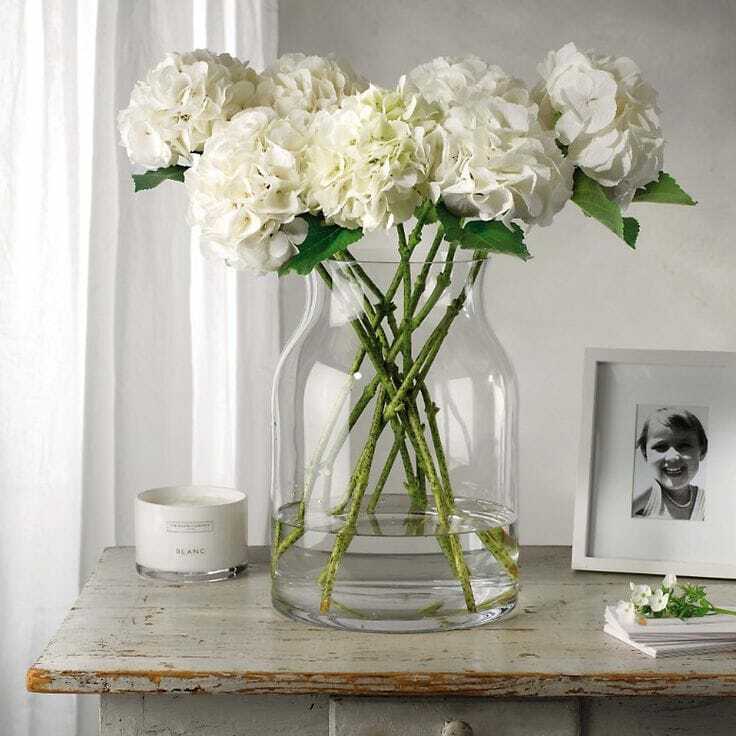 And for more tips and tricks, as well as ideas on how to keep flowers in your home every week while still keeping on budget, check out my post How to Decorate with Flowers: 7 Easy & Stylish Tips! Nice decorations and your florals are all beautiful! When you grow them, do they stay white or change like the blue to pink ones do? No, they stay white. Only the blue ones have the power to change due to the soil content. I could not agree more! 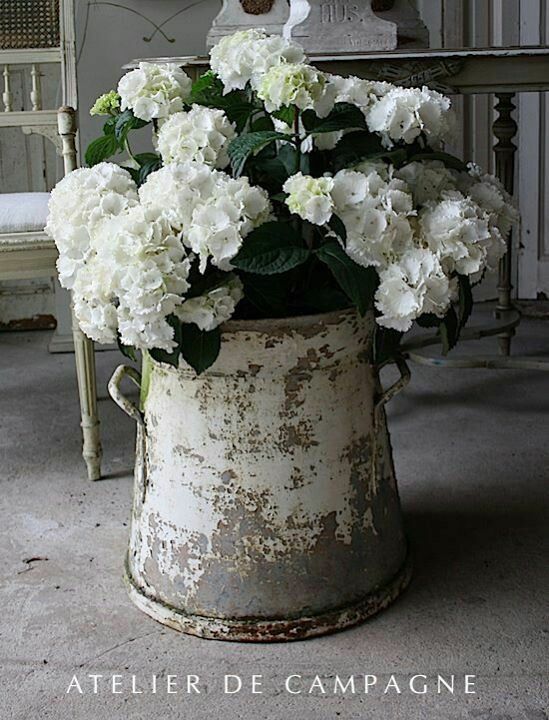 I love white and green in the garden and containers, and hydrangeas are a favorite! I’m right there with you! I changed my garden to white and green only a few years ago and I love it! Love these and I’d like to just be transported!! 😉 Happy weekend!! They really are gorgeous flowers and I love how you style them. Different containers can really change the look. Happy September to you, Sheila! I hope the temps are getting cooler for you! I couldn’t agree more Shelley! The containers can change the look so quickly! Oh thank you Katherine! Aren’t fresh flowers just the best?! There is seriously not much that brightens a room faster than they do!